Cirque Musica presents Wonderland is a concert and visual experience where audiences will journey into a world of high-flying adventure with amazing acrobats, aerialists, hilarious hijinks and holiday cheer that is Wonderland. The show blends the spellbinding grace and daredevil athleticism of today’s greatest circus performers with the sensory majesty of the Bozeman Symphony Orchestra performing the greatest holiday music of all time. 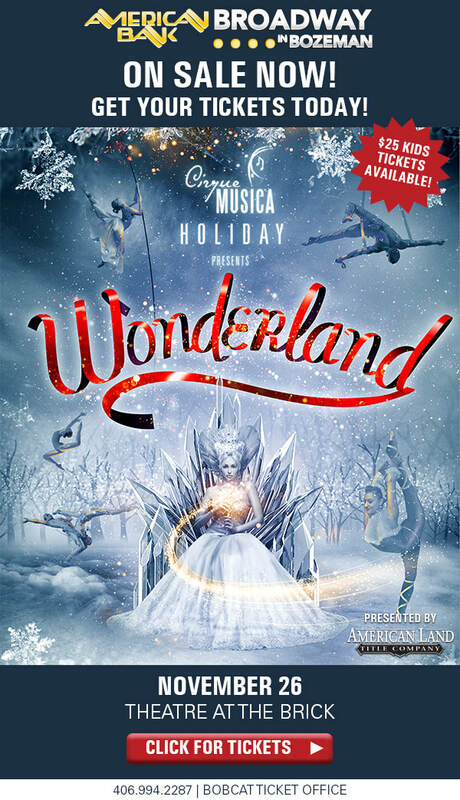 CIRQUE MUSICA HOLIDAY presents Wonderland is the perfect opportunity for the entire family to experience great holiday music LIVE while enjoying an edge of your seat circus experience.